the tide is finally starting to turn against the agri-business industrial complex. yay! 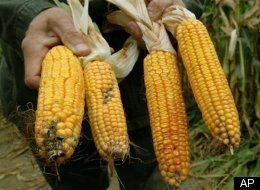 Anyone want to bet how many top people in Monsanto eat any of that corn? Is the point to make it cheaper to grow corn? If so, it sounds like their corn might be better suited to power vehicles rather than animals and people. I’d then have to wonder about chemical emissions though.